Multiphase flow through porous media is a common problem found in many engineering and environmental fields such as oil and gas, chemical processing, hydrology, and geophysics. Simulation challenges are magnified due to the complicated geometry of void spaces in porous media such as rocks or packed bed reactors. Advances in HPC (high performance computing) capabilities, such as high fidelity mesh generation and related flow solvers have made image-based pore-scale modeling a feasible technique for addressing porous media problems. Current community codes, however, do not exploit HPC capabilities to their fullest and lack fully coupled physics. 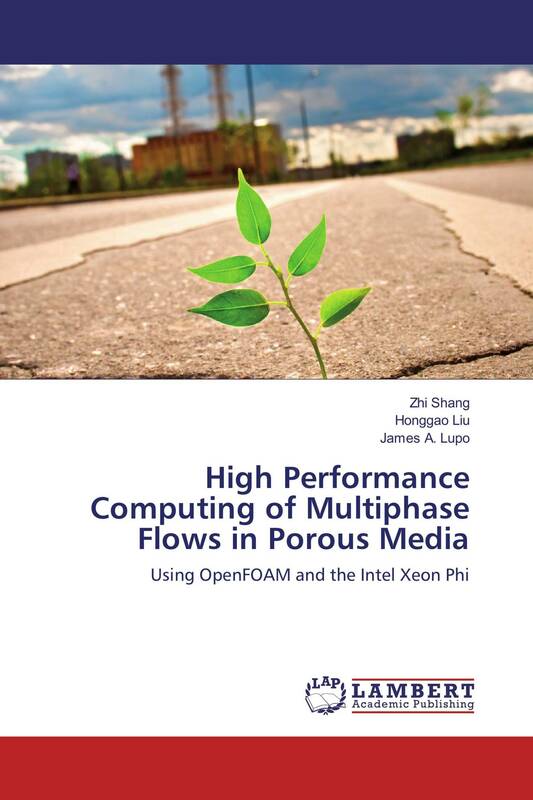 In this book the performance scaling, profiling, and optimization for the enhancements to OpenFOAM on HPC developed in this book apply not only to parallel programming but also for HPC platform accelerators, such as Intel Xeon Phi co-processors (i.e. Knights Corner - KNC) and processors (i.e. Knights Landing - KNL) respectively.